What is the best heat press? Compare the Cricut EasyPress 2 and an Industrial Swivel Heat Press. Which one is the best for you? This is a sponsored post on behalf of Cricut. All opinions are my own because I love giving you helpful tutorials! Are you a huge fan of Heat Transfer Vinyl too? There are so many fun things you can make with that stuff! My most favorite is T-shirts! Everyone needs a personalized tee that perfectly matches their personality don’t you think? 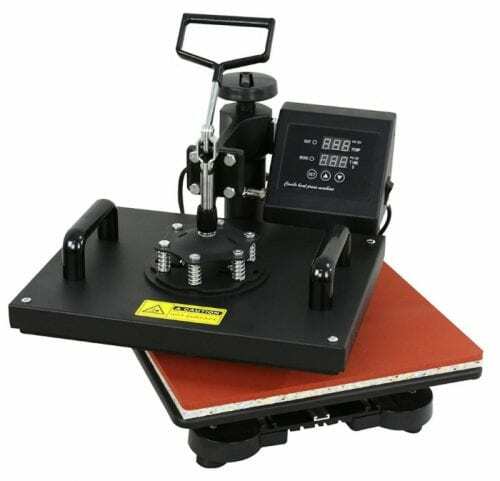 A product that is SUPER IMPORTANT when it comes to Heat Transfer Vinyl is the heat press you use to apply it. Of course, you can use the iron from your laundry room, but the vinyl never seems to stick great and doesn’t last through several washes. BUT when you use an iron that is designed for Heat Transfer Vinyl you will be completely hooked to the craft! Buying the right heat press for you and your projects is an important decision, so I am here to help! We are going to compare an Industrial Swivel Heat Press and the Cricut EasyPress 2. 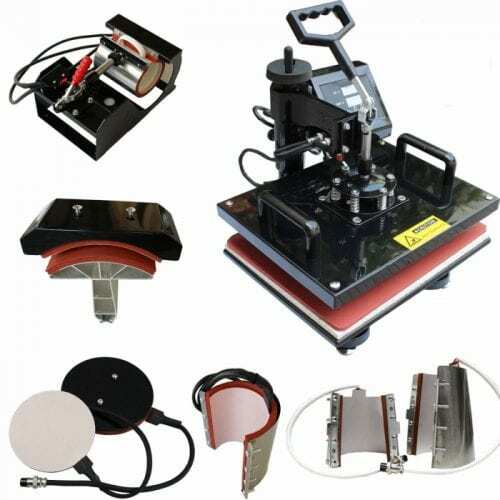 Let’s start with the Industrial Swivel Heat Press. Shipping weight is for all pieces included so that means with all of the attachments and packaging the shipping box weighs 67 pounds. I would say the machine itself is about 40-45 pounds. I had to look up several YouTube videos just to see how to set the temperature and how to use the machine. There are several attachments that can be connected to the control box to be used on baseball caps, plates, mugs and so much more. The cost varies quite a bit because there are so many manufacturers of this machine. Is not included with the machine, it is an additional purchase. 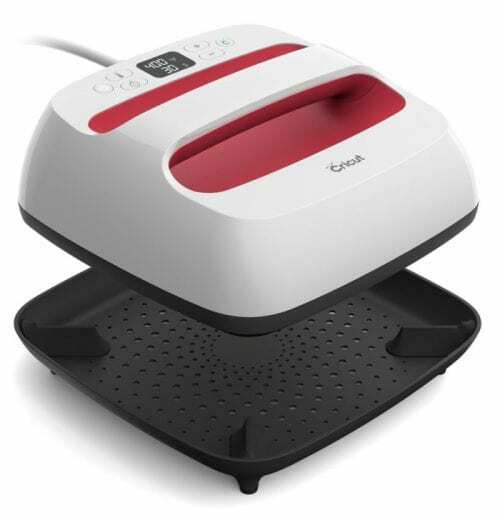 Protects table or counter and helps evenly distribute the heat of the EasyPress. Do you want to see these machines in use? In this video, I create 4 different projects and use a different heat press for each project and give my review. Here is a shorter version that doesn’t include the projects, only my spoken review of the heat presses. Bulky – Where do I store it? My winner is… Cricut EasyPress 2!! It is so quick and easy to use! Do you want to do your own research? 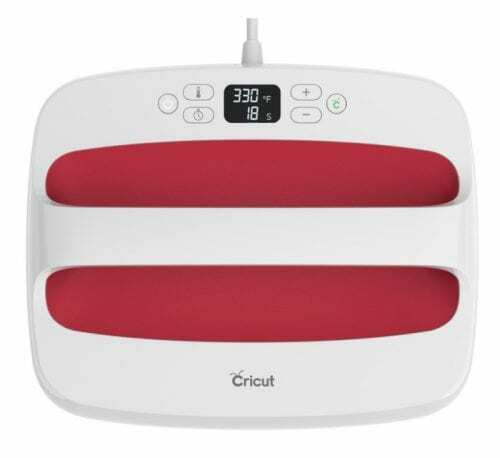 You can learn all about the Cricut EasyPress 2 by clicking here and the Swivel Heat Press by clicking here. Do have different Pros and Cons than me? Share and leave a comment below! 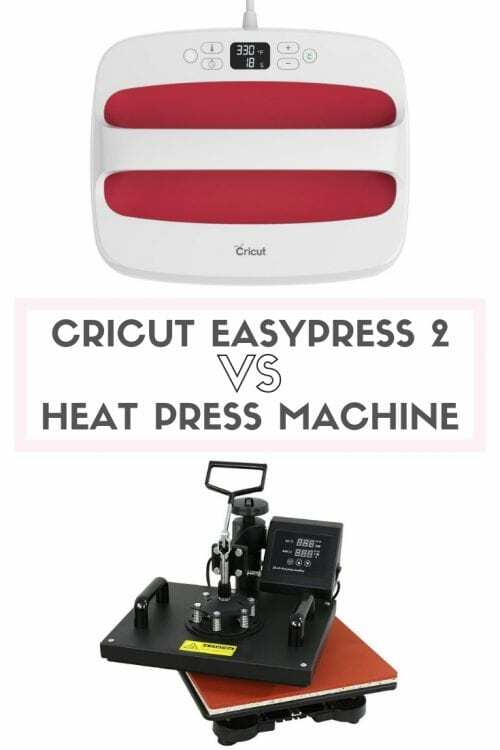 SAVE COMPARE CRICUT EASYPRESS 2 VS A HEAT PRESS HOW TO YOUR FAVORITE PINTEREST BOARD!